Relaxed and stylish travel is not only reserved for first-class aircraft and luxury hotels. Point Links’ greeters deliver five-star airport services within the airport, including boarding gate welcoming, VIP meet and assist, and fast track through security and immigration. Point Links’ airport fast track package encompasses seven pillars of service to ensure a seamless travel experience everywhere in the world, every time. VVIP: The best of the best - Enjoy the exclusivity of our highest level of VIP service, bypassing public areas and terminals. VIP: Experience our leading and fully guided point-to-point fast track experience. 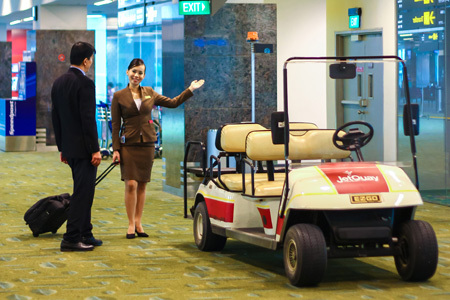 Meet and greet: Savour personal assistance through all airport formalities and processes. Be discreetly guided from limousine to gate, removing disruptions and reducing wait times. Each airport’s Immigration Department and Security Control has final decision on whether to grant priority clearance to guests. Service availability will be subject to airport condition on service date. Guests with VIP service booked will be notified of any changes on service process or suspension prior to service date. Be discreetly guided from the gate to your airport pick-up point, eliminating disruptions and down time. Turn tedious transit waiting times into seamless and stress-free stop-overs.